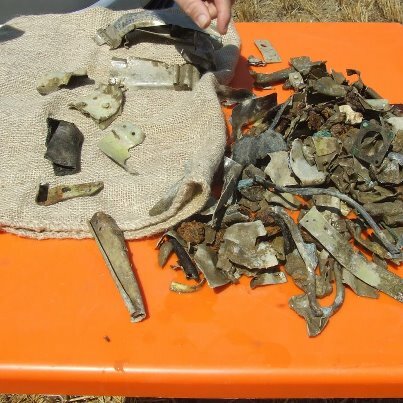 Parts recovered from Lt. Nielsen's plane. Second Lieutenant Henry L Nielsen of the 27th Fighter Group was the pilot of P-47 (number 4226362). His plane was shot down on November 16, 1944, near Pegognaga, Italy. Nielsen parachuted to safety and was captured by enemy forces. He spent the rest of World War II as a prisoner of war in Germany. Nielsen's plane was found in 2012. This was documented in the Gazetta di Mantova (in Italian) on July 8, 2012. This article is roughly translated into English below. Claudio Mischi, of San Giorgio di Mantova, is a scholar and author of several articles on plane crashes in Mantua during the Second World War. Because of historical research conducted by Mischi, and in collaboration with Michele Becchi and Franco Giovannini, it was possible to trace the pieces of an American P-47 Thunderbolt that crashed near Court Calderina, near Pegognaga, Italy, November 16, 1944. The P-47 was piloted by Lieutenant Henry L. Nielsen. The crash site was discovered in 2012. The discovery of the wreckage occurred on a plot of land belonging to a family residing in Simonazzi on Via Cologne Marina. 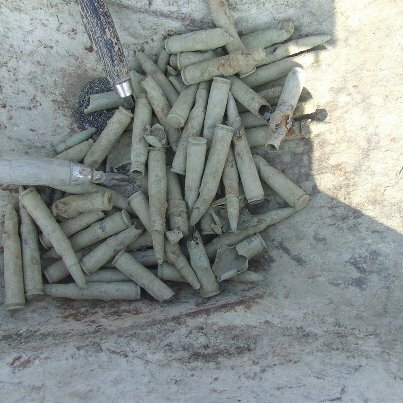 Airplane parts found burned in the ground included a few pieces of the fuselage, cabin and 50 mm machine gun bullets. Watching recovery operations (under a scorching sun) were fans of "Air Crash Po," along with the the mayor of Pegognaga, Dimitri Melli; the landowner; and Major Todd Andersen of the U.S. Air Force who was sent by the United States Embassy in Rome. Two planes had taken off on the morning of November 16, 1944, from Tarquinia, Italy. The pilots were 1st Lt. James D. Rudolph (group leader) and 2nd Lieutenant Henry L. Nielsen, The planes bombed and strafed their main objective, which was the railway line and station at Dolcè, near Verona. On the way back, the pilots were searching for targets of opportunity, and during the strafing of a munitions depot at Suzzara, Lt. Nielsen's plane was hit by flak in the engine. Initially, the damage seemed limited because there was just a little smoke coming out of the engine. However, the engine then failed completely, releasing smoke and oil in a consistent manner. Nielsen, after passing the village of Polesine at an altitude of 350 meters, opened the the roof of the plane, climbed out on the wing, and launched himself into space. The plane crashed to the ground a hundred yards from the Court Old Calderina without causing damage or injury. The pilot descended safely by parachute and landed in a field not far from where his plane crashed. Nielsen was later captured by the Germans and held prisoner in Germany through the end of World War II.